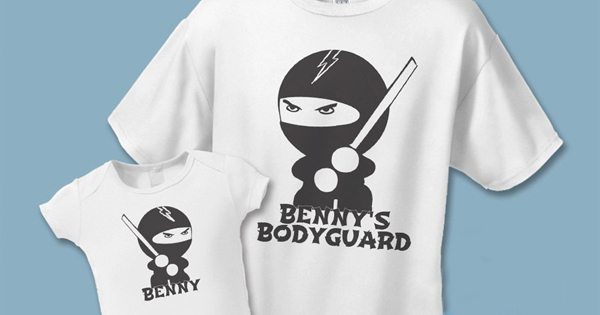 Bring a bit of a chuckle to the whole new baby moment with this personalised bodyguard tee & onesie set. Tee comes in adult or kid sizes. $39 from Revolution 46.